The third edition of the Pollard and Earnshaw textbook “Cell Biology” with award winning illustrations by Graham Johnson and chapters by Jennifer Lippincott-Schwartz will debut at the December 2016 meeting of the American Society for Cell Biology and be available in 2017. The third edition has over 300 new and revised figures. The thoroughly revised text includes the latest concepts and information on every aspect of cell biology, super-resolution microscopy, high throughput genomics and other cutting-edge methods. 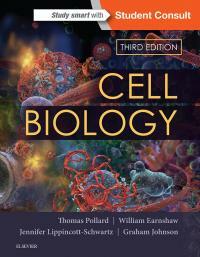 Cell Biology e3 covers more material and in fewer pages than the previous edition. A new monograph “The Cytoskeleton” will appear at the December 2016 meeting of the American Society for Cell Biology. 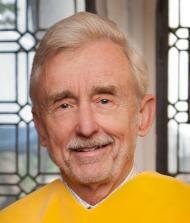 The book is edited by Tom Pollard and Bob Goldman and is published by the Cold Spring Harbor Laboratory Press. 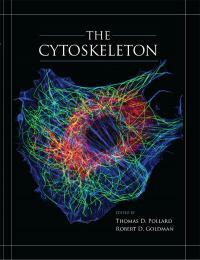 Twenty-four chapters by leading researchers cover every aspect of the cytoskeleton and cellular motility. Our laboratory uses a combination of biochemistry, biophysics, microscopy and fission yeast genetics to investigate the molecular basis of cellular motility and cytokinesis. Actin-based cellular movements are essential for shaping organs during embryonic development, defense against microorganisms and wiring the nervous system. Movement of cells out of primary tumors is the chief cause of mortality in cancer. Cytokinesis is essential for the replication of all cells and is still one of the least understood aspects of cell division. Recent accomplishments include the discovery and characterization of Arp2/3 complex, an assembly of two actin-related proteins and seven novel subunits. We determined the crystal structure of Arp2/3 complex and developed a method to visualize the growth of actin filaments in real time by fluorescence microscopy. These breakthroughs have opened the way to understand how Arp2/3 complex forms branches on the sides of actin filaments. 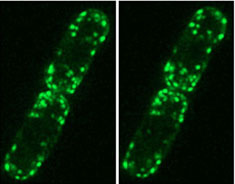 We have also pioneered the analysis of myosin-II function in fission yeast cytokinesis. We study how cells control the assembly and disassembly of actin filaments during cellular movements. 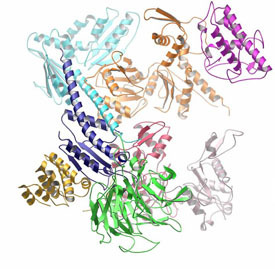 We have projects on the structure and function of actin, Arp2/3 complex, activators of Arp2/3 complex (such as the Wiskott-Aldrich syndrome protein, WASp), profilin, ADF/cofilin and capping protein. Accomplishments include the discovery and characterization of Arp2/3 complex, an assembly of two actin-related proteins and seven novel subunits. We determined the crystal structure of Arp2/3 complex and developed a method to visualize the growth of actin filaments in real time by fluorescence microscopy. These breakthroughs opened the way to understand how Arp2/3 complex forms branches on the sides of actin filaments at the leading edge of motile cells and actin patches used by fungi for endocytosis. We have also helped to establish the molecular pathway of cytokinesis in fission yeast. Ribbon diagram of the 2.0 Å crystal structure of the bovine Arp2/3 complex. Ref: Robinson*, R.C., Turbedsky*, K., Kaiser, D.A., Higgs, H.N., Marchand, J.-B., Choe, S. and Pollard, T.D. (2001) Crystal structure of Arp2/3 complex. Science 294:1679-1684. * co-first authors. Over the past decade our lab adopted fission yeast as our model system for studying cytokinesis. We used quantitative fluorescence microscopy of fluorescent fusion proteins to establish the temporal and spatial pathway of contractile ring assembly and constriction and to measure the global and local concentrations of 30 proteins that participate in the process. We characterized the biochemical properties of several of the cytokinesis proteins, including myosin-II, formins, profilin, capping protein and cofilin. We combined this information in mathematical models that allow us to test our hypotheses about the cytokinesis pathway and to suggest fruitful opportunities for new research. Stereo pair of fluorescence micrographs showing the localization of GFP-myosin-I in S. pombe. Ref: Lee, W.-L., Bezanilla, M. and Pollard, T.D. (2000) Fission yeast myosin-I, Myo1p, stimulates actin assembly by Arp2/3 complex and shares functions with WASp. J. Cell Biol. 151:789-800.